A gritter left the road in the early hours of this morning near to Appin as workers worked tirelessly to treat roads ahead of the influx of commuters this morning, with temperatures dropping to around -3c overnight. 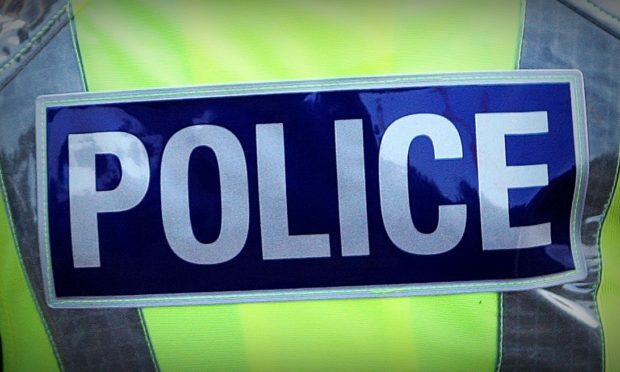 The incident occurred around 3.30am with a police spokeswoman confirming officers were in attendance after the gritter left the road and tipped over near to the Old Inn at Appin on the A828. 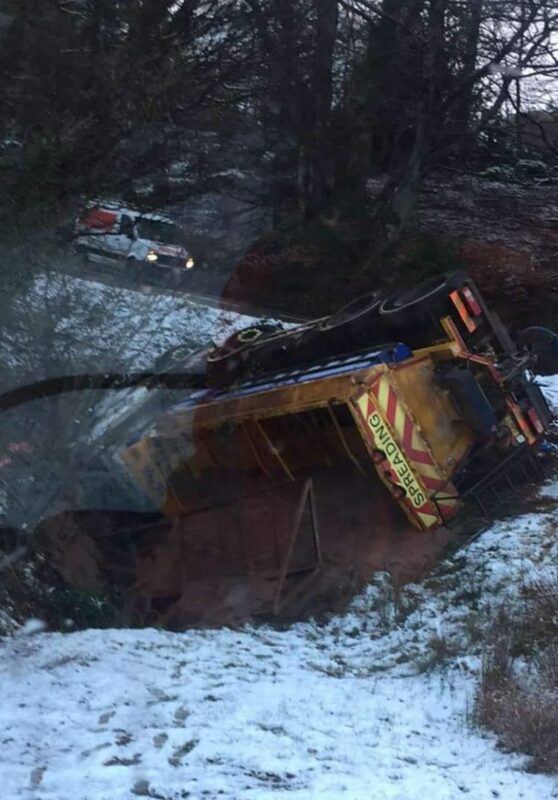 The overturned gritter. Picture by Stewart Gourlay. Gritter operator Bear Scotland sent personnel to the scene with the decision made to attempt to recover the vehicle once the night had parted and more favourable weather conditions ensued. Police also confirmed this morning another heavy vehicle had left the road and overturned near to Dalmally, with the road still passable as one lane remains open to passing traffic.